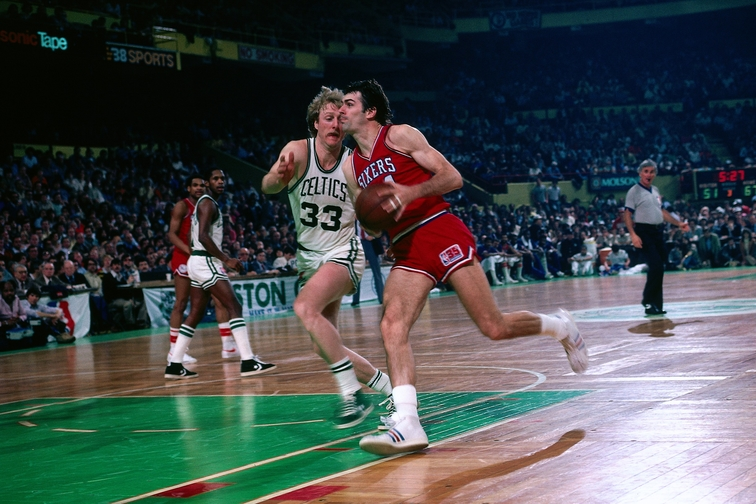 Bobby Jones driving on Larry Bird in a Philadelphia-Boston game in the '80s. Bobby Jones built a basketball career on his ability to guard other players, to the point where Nike created a marketing campaign calling him the Secretary of Defense. He was an All-Star five times in his 12-year pro career and won an NBA title in 1983 as a member of a great Philadelphia 76ers team that included Moses Malone and Dr. J, Julius Erving. 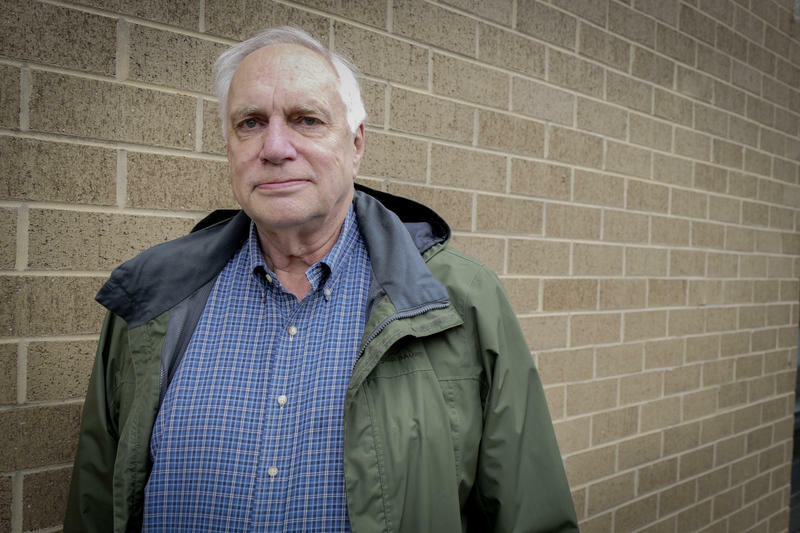 Before that, Jones played for Dean Smith at The University of North Carolina and also played for Team USA in the 1972 Olympics, which put him in the middle of one of the most controversial games in sports history. After retiring from the NBA, Bobby moved back to his hometown of Charlotte and coached high-school basketball for years. He has a lot to say about today’s NBA, what it was like when he played, and a lot of other things. Here’s our SouthBound conversation. 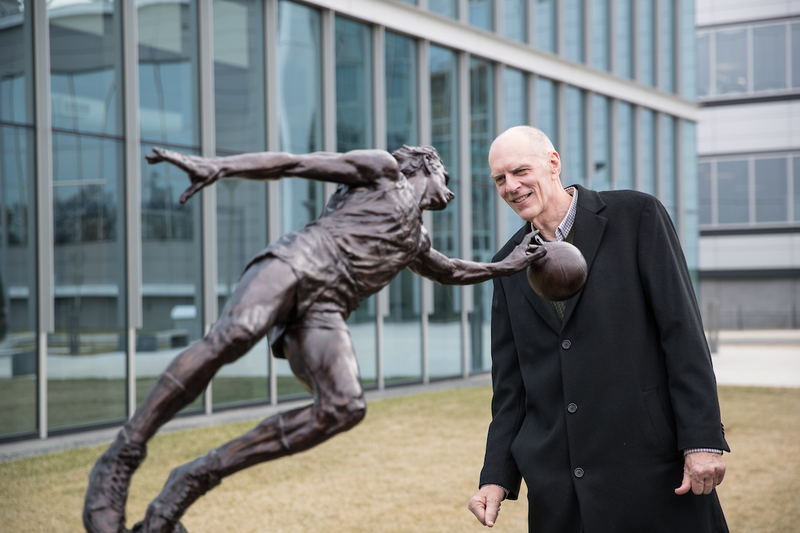 Bobby Jones with a statue in his honor after the Philadelphia 76ers retired his jersey in February. One of his greatest dunks over Larry Bird in the 1981 playoffs. Here's a longer highlight reel from that Game 6 of the Eastern Conference Finals, which was nuts -- Celtics star Cornbread Maxwell (who played college ball at UNC Charlotte) went after a fan in the stands. Here's the ending of the 1972 Olympics basketball final -- maybe the most controversial finish in sports history. Bobby Jones was a starter for the American team, but was not on the court at the end. Here's the famous 1974 game where North Carolina was down eight points to Duke with 17 seconds left, came back to tie the game, and won in overtime. Jones scored four of those eight points at the end of regulation. Jones was close to Dean Smith, the legendary coach at UNC, who died in 2015. Here's a story I wrote for ESPN the Magazine about Smith's struggles with dementia in his final years. Let's keep the conversation going. Send a tweet to @tommytomlinson or @wfae, and use the hashtag #WFAESouthBound. You can also email me at tomlinsonwrites@gmail.com. SouthBound is a production of WFAE. Our host is Tommy Tomlinson. Our producer is Nick de la Canal. Our web manager is Jennifer Lang. Our audience engagement producer is Joni Deutsch, and our theme music comes from Josh Turner. Have you ever heard that little voice telling you to do something more with your life? 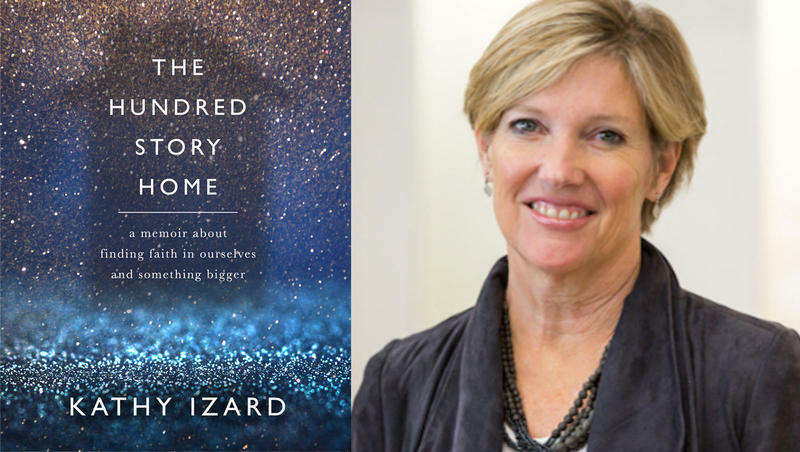 Kathy Izard heard that voice, and unlike many of us, she decided to listen. If you somehow had a giant photo album of the last 40 years of fashion history, as you scrolled you would see one face over and over again, a head taller than most everybody else. 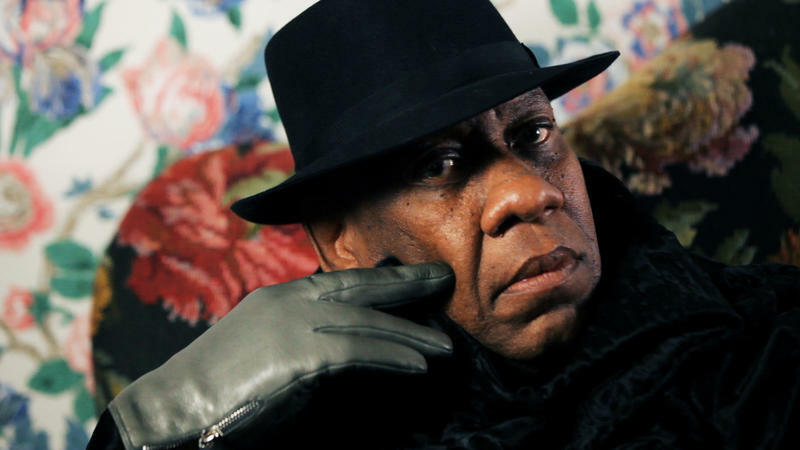 That’s Andre Leon Talley. Webb Hubbell was a political prodigy. When he was just 29, he became mayor of Little Rock. A few years later, he was chief justice of the Arkansas Supreme Court. And a few years after that, he was heading to Washington to serve under his friend, President Bill Clinton. But his fast rise was followed by a hard fall. Courtesy of Dale Earnhardt Jr. 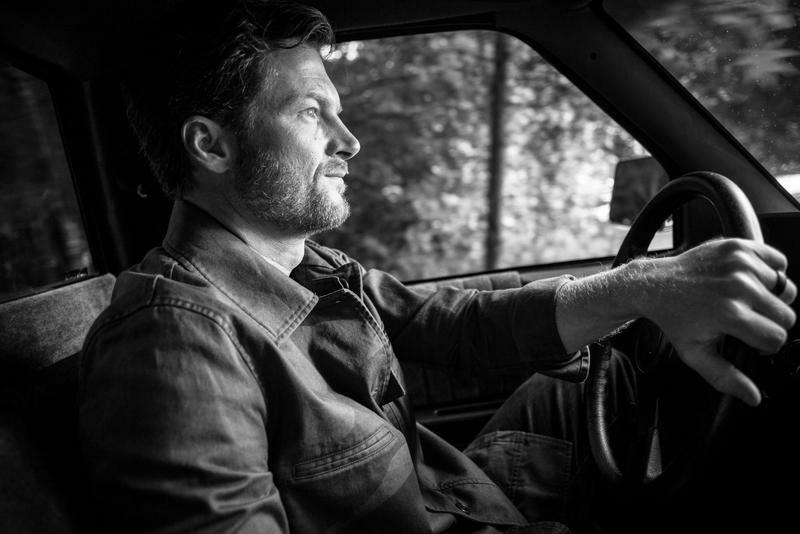 In all my years of doing interviews, I’ve met very few people who are as open and honest about themselves as this week's SouthBound guest, Dale Earnhardt Jr.